InSync Training operates under a thoroughly modern business model: the entire team works remotely! Guest blogger Jenny Holt provides some benefits and drawbacks of this arrangement. Many businesses are moving away from having dedicated office space in their facilities for team members to work in. Instead, they are choosing to allow, and even encourage, workers to perform their daily activities from home. As you might imagine, there are both pros and cons associated with remote teams. By analyzing the pros and cons of having remote teams in your workforce, you may be able to determine if this is a management strategy that might work for you and your employees. One of the key benefits associated with having a remote workforce is the ability of your team members to work quietly at home, promoting efficiency. Traditional office environments can be noisy, and there are often many distractions. There can be distractions at home as well, such as kids vying for the attention of their parents. However, most people are able to control their home environment much better than they can control their work environment. Employers want their employees to be happy with their jobs, and one of the biggest challenges most workers face is juggling home and work life. When workers are allowed to work from home, they can most easily manage all of their various responsibilities. This can improve job satisfaction and may even free up more time in workers' days to work on their projects. One significant challenge that managers of remote work forces hear their employees complain about relates to communication. In many cases, workers will need to work on their own tasks independently, but there are times when collaboration is necessary. There are, however, technological solutions that promote communication. For example, Skype is often used for teleconferencing in remote work groups. Technological problems can arise in any work environment. In an office environment, however, you generally have compatible machines and technology. You may also have IT staff on duty to assist with problems. Technological challenges are often more difficult to overcome with a remote workforce, but they can still be overcome with some effort. 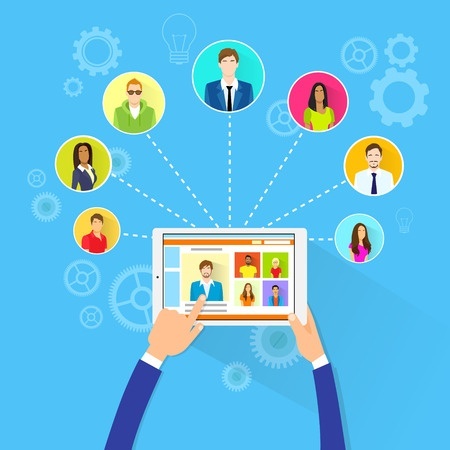 Remote workforces are increasingly popular, and there are good reasons for this. While there are challenges associated with working from home, the benefits typically far outweigh the challenges. In addition, many of the challenges associated with working from home can be overcome with proper effort.